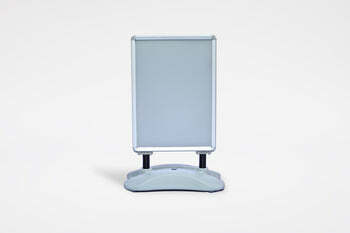 A strong sturdy plastic sign that is easy to set-up and tear down. Made from a rugged polyethylene plastic makes it great to use in all types of weather. Signicade signs excel at steering foot traffic toward your storefront location. Select an option to upgrade your Signicade® Frame!